Home > Blog > How Do Healthy Fats Help You Lose Weight with Phentermine? The word ‘fat’ comes with a whole lot of negative connotations, but it’s crucial to remember that healthy fats are essential to help you lose weight with phentermine. Although it was often thought that a low-fat diet would help us to lose or maintain a healthy weight, the truth is that we need fats in order to function properly. The key is knowing which fats you should be eating and which you should avoid for the best weight loss results with phentermine. Fat vs Oil: What’s the difference? Before we get into the difference between good and bad fats, let’s first clear-up an important difference: fat vs oil. While “fat” refers to all types of fat (liquid and solid, good and bad), “oil” more specifically refers to a form of fat that remains liquid at room temperature. Therefore, while all oils are fats, not all fats are oils. These ‘bad’ fats spell trouble for your health and your waistline. Do your best to minimize the presence of them in your daily diet. Let’s start with the worst type of fat: trans fats. Your best bet is to avoid trans fat completely as it raises cholesterol levels, increasing a risk of heart disease, stroke, and weight gain. Foods that contain trans fats include cookies, pastries, candy, fried foods, chips, store-bought pizza, and generally most unhealthy processed foods. You should also be wary of food labels which state that the food is ‘trans fat free’. Since 2006, the FDA has required food manufacturers to list reportable amounts of trans fat on the Nutrition Facts label. But here’s the thing – food manufacturers don’t have to report the trans-fat content if it’s less than 0.5 grams per serving. So, to really know if the product contains trans fats or not you should check the ingredients list for the terms ‘hydrogenated’ or ‘partially hydrogenated vegetable oils’. These ingredients indicate the presence of trans fats, even if the nutrition facts label misleadingly reports that the product contains 0 grams of trans fats. Thankfully, as of June 2018, more than 98% of trans fats had been eliminated from the US food supply. This impressive decrease is due to a 2015 FDA ruling that deemed trans fats unsafe and gave major food companies until June of this year to eliminate hydrogenated oils from their products. You should still check the label for this troublesome component, but chances are now much lower that you’ll come across it in your favorite food! Another type of fat that can prove harmful to your health, and your weight loss efforts, is saturated fat. Saturated fats elevate cholesterol levels and increase the risk of heart disease and stroke, and cause weight gain. However, this type of fat is not as harmful as trans fats, and can be eaten in moderation. Saturated fats are found in red meat, cream, Greek yogurt, cheese, butter, and chicken skin. While experts have recently claimed that saturated fats may not be as harmful to your health as originally thought, it is still best to keep these types of foods to a minimum. Foods high in saturated fat also tend to contain a lot of calories and have also been shown to increase the acidity of your urinary pH, which in turn causes phentermine to be expelled sooner from the body, making it less effective. But, how to healthy fat’s help you lose weight? Here’s a little more about each of the good fats that are considered healthy fats for weight loss! Polyunsaturated fatty acids contain essential omega-3 and 6 fatty acids, which are both very crucial to our overall health and weight loss. It is recommended that we eat omega-3 healthy fats every day, as we often get omega-6 fats but can lack omega-3s. To check if a food contains PUFAs, it’s useful to know that the omega 3 fatty acid is also known as alpha-linolenic acid (ALA) and the omega-6 fatty acid is also known as linoleic acid (LA). Polyunsaturated fats are known to improve heart health and actually help to reduce cholesterol. In addition, these fats are especially essential when losing weight with phentermine as they help to improve your mood. One of the common side effects of phentermine is a low mood and healthy fats are a great natural way to mitigate this unwanted side effect. Furthermore, these fats help to reduce appetite by keeping us feeling full. Plus they reduce digestive inflammation, meaning less bloating and a flatter stomach! Sources of polyunsaturated fatty acids include green leafy vegetables, flax seed, hemp oil, walnuts, Brazil nuts, fish, olive oil, and avocados. While healthy, friendly fats are undoubtedly beneficial for health, many of these foods also contain a lot of calories. Therefore, it is best to eat them in moderation otherwise weight loss will be difficult. Stick to no more than half or a quarter of an avocado a day, a handful of mixed nuts as a snack, and a drizzle of olive oil on your salad or for cooking, but plenty of green leafy vegetables of course! You can also find foods such as pasta and eggs which have been fortified with omega 3 healthy fats, and while these can help you to top up your levels, it’s always best to get omega 3s from natural sources rather than from fortified foods. Monounsaturated fatty acids are very similar to polyunsaturated fatty acids, in that they both have similar benefits and come from a lot of the same foods. The healthy fats found in monounsaturated oils, like olive, sesame, and peanut oil, are all great for cooking at low temperatures and keep your cooked food healthier than with other oils. This type of healthy fat has also been recognized by the American Diabetes Association to decrease body fat if consumed in moderation. Now you don’t need to be so scared of the fat content of certain foods while you’re trying to lose weight, as it’s clear that incorporating healthy fats into your diet is essential to provide you with good health, and to give you added weight loss benefits too. However, if you feel that you need some extra help to lose weight, then another great way to boost your results is to add Phen Caps to your daily dose of phentermine. 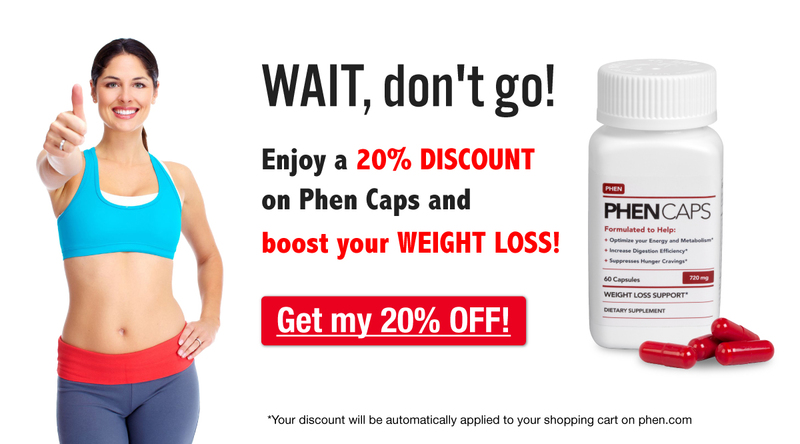 Phen Caps are the leading phentermine alternative, and help to suppress appetite and boost energy in the same way as phentermine does, so you will be able to beat hunger for longer and use this added energy to really get active! Do you make sure to include healthy fats in your diet? Let us know by commenting below! Editor’s Note: This post was originally published August 13, 2015. It was expanded and updated on August 2, 2018. I am sorry to point this out…your article is excellent. However, if you are telling us that dark leafy vegetables contain healthy fats (or any fats) it is very difficult to trust anything in your articles. I wonder how that passed through to the final draft. Take care! Thanks for your feedback. We try to make our articles easy to read but perhaps in this case we over-simplified. Polyunsaturated fatty acids (PUFAs), the good fats we’re talking about, are divided into omega 3 and omega 6 fatty acids. The omega 3 fatty acid is also known as alpha-linolenic acid (ALA) and the omega-6 fatty acid is also known as linoleic acid (LA). Both LA and ALA are found in green leafy vegetables, milk and eggs. I’ve updated the article so as to be more specific.